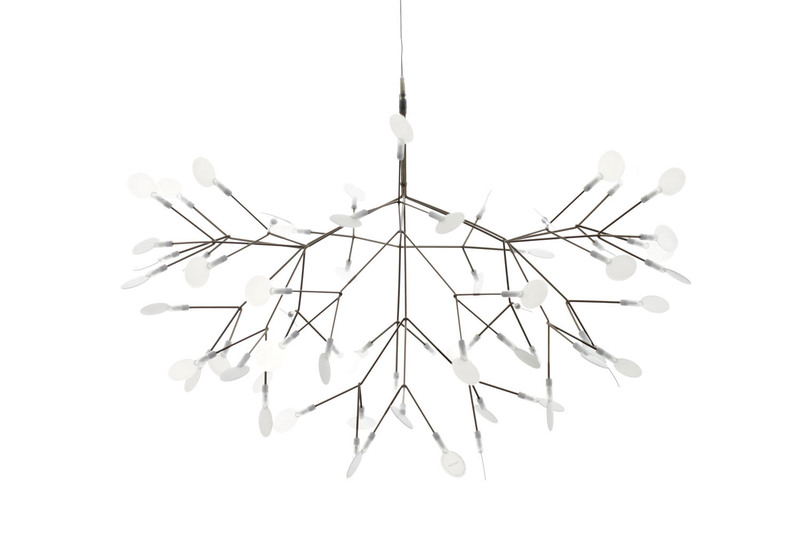 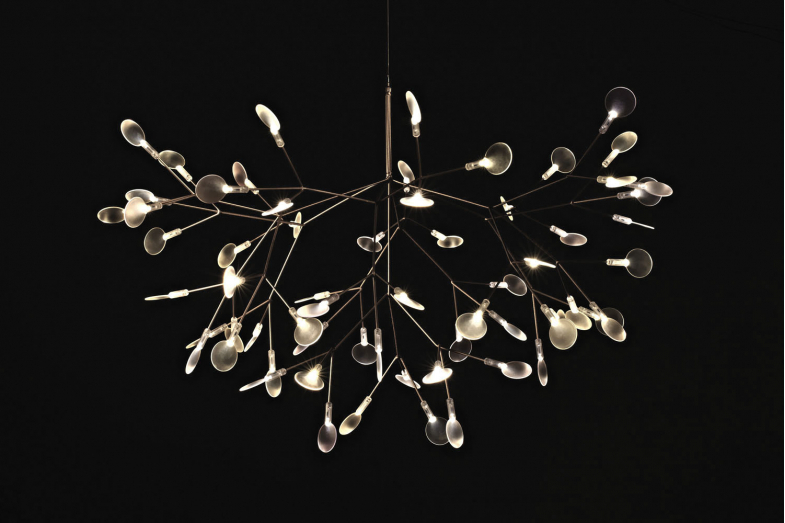 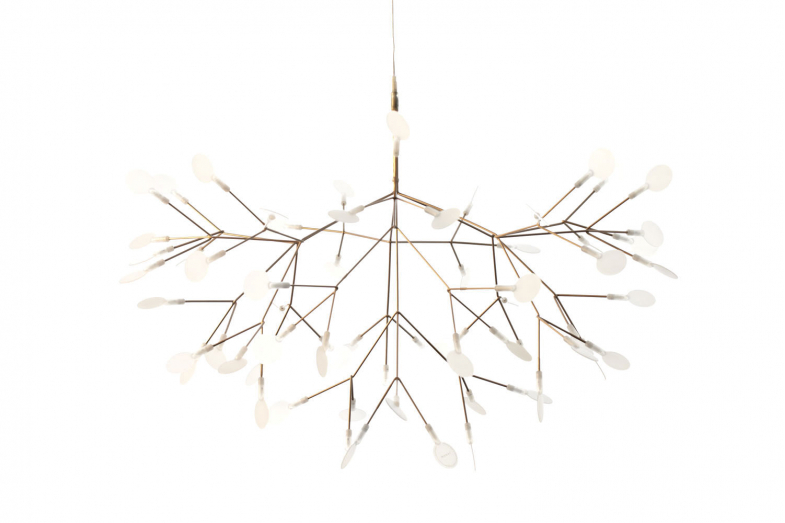 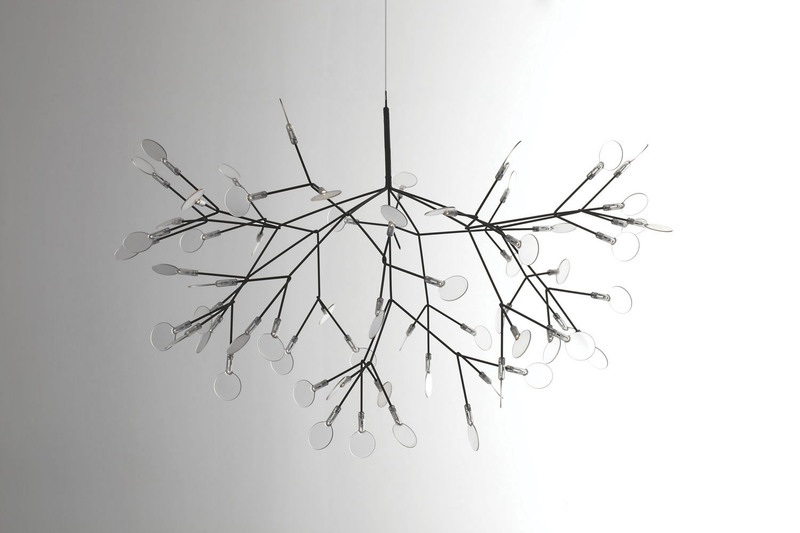 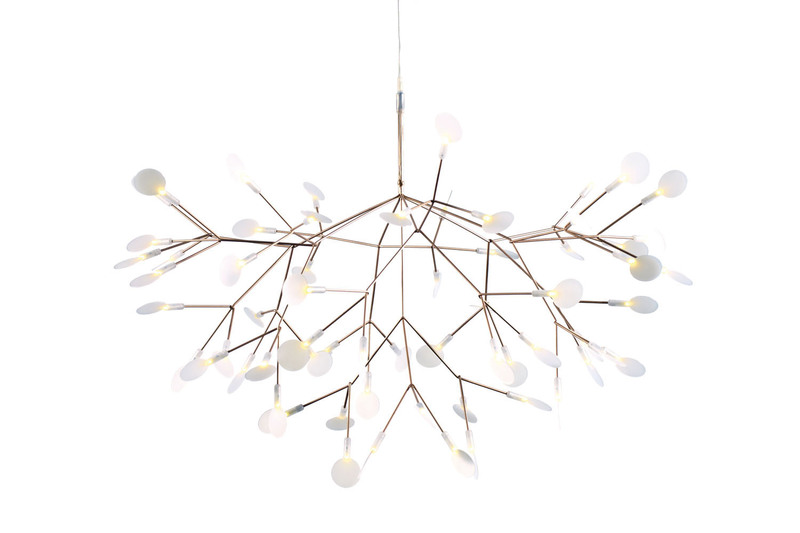 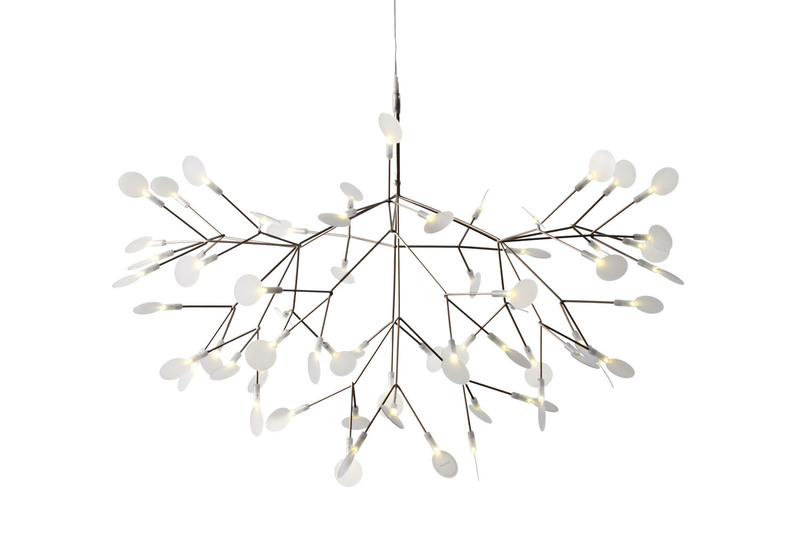 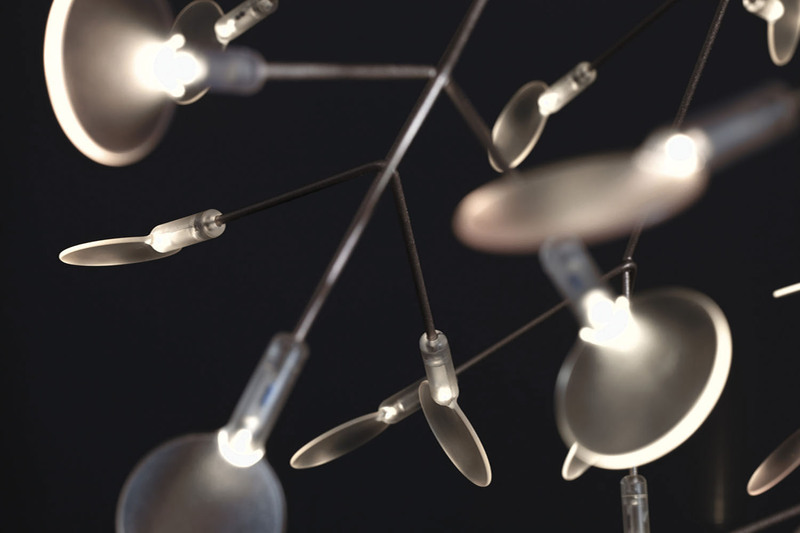 Bertjan Pot's decorative led lamp inspired by the Heracleum plant. 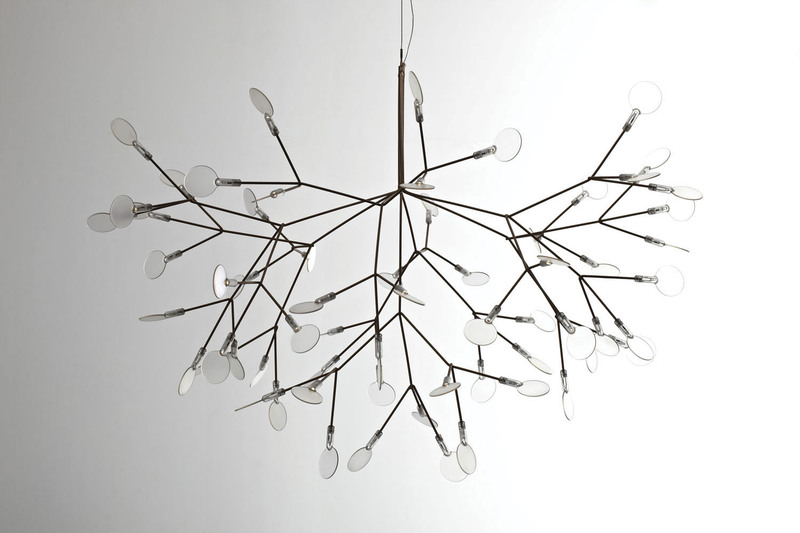 The white leaves/lenses ramify from one branch creating a very technical, natural structure. 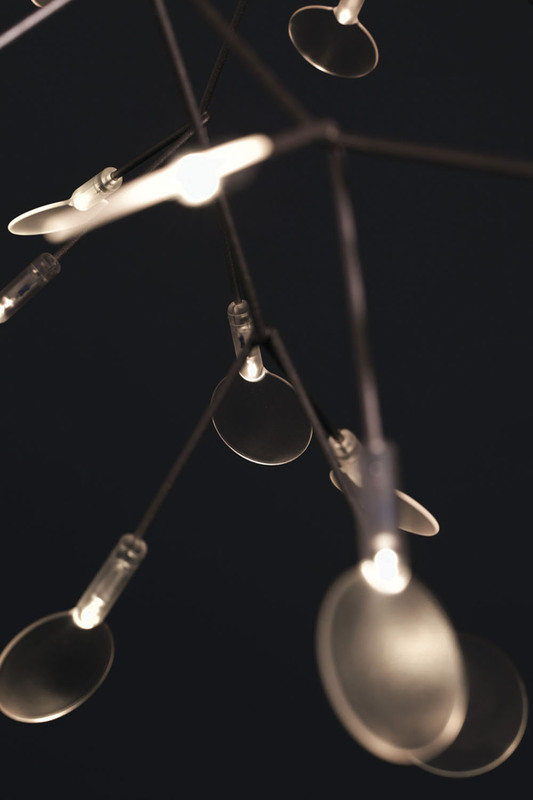 By using the technique of coating conductive layers, the lamp is very thin and delicate. 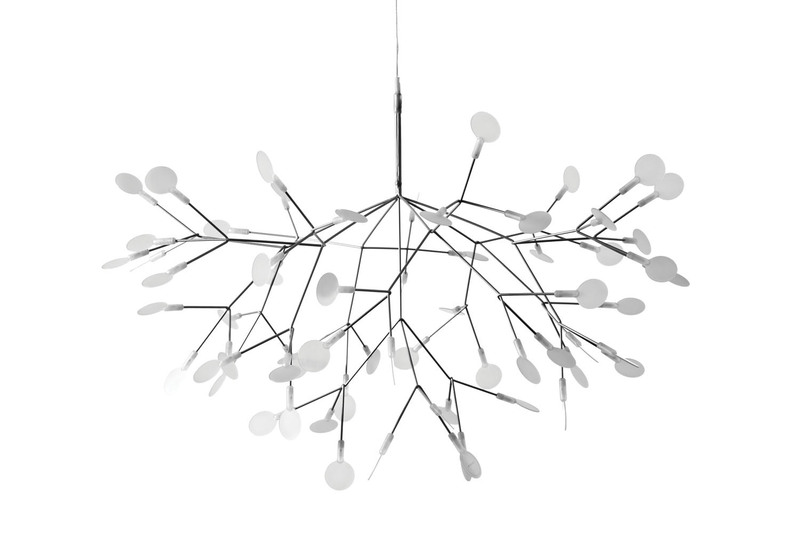 A design not possible with normal wires. 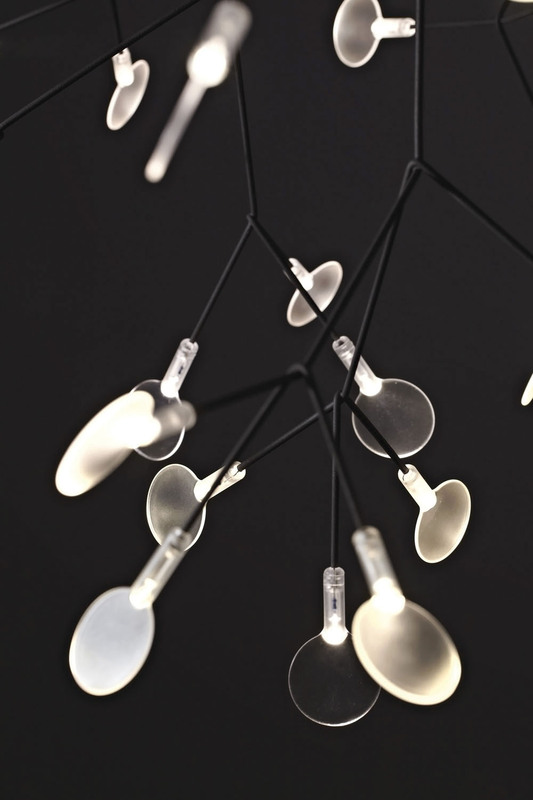 Metal wire frame, poly carbonate lenses, ultra thin suspension wire.